It may gross you out, it may not... but I love McDonald's Sausage McMuffin with Egg. My favorite is when the last bite is of crispy muffin, greasy sausage and melted cheese. I am kinda curious what the calorie count is on one of those bad boys, but I don't eat them often enough for it to even matter... and I don't dare look. Although the classic McDonald's breakfast sandwich was my inspiration, my version is healthy healthier if only for the fact that fresh ingredients were used. The Garlic Compound Butter was given to me by my mother-in-law, when I make it myself I will post the recipe. For the sausage I used Maple Sausage that was in my most recent meat pack from OV Meat Shoppe, when it was cooking I could smell the maple - so freakin' delicious!! In My Opinion: I can't believe I never made these before. 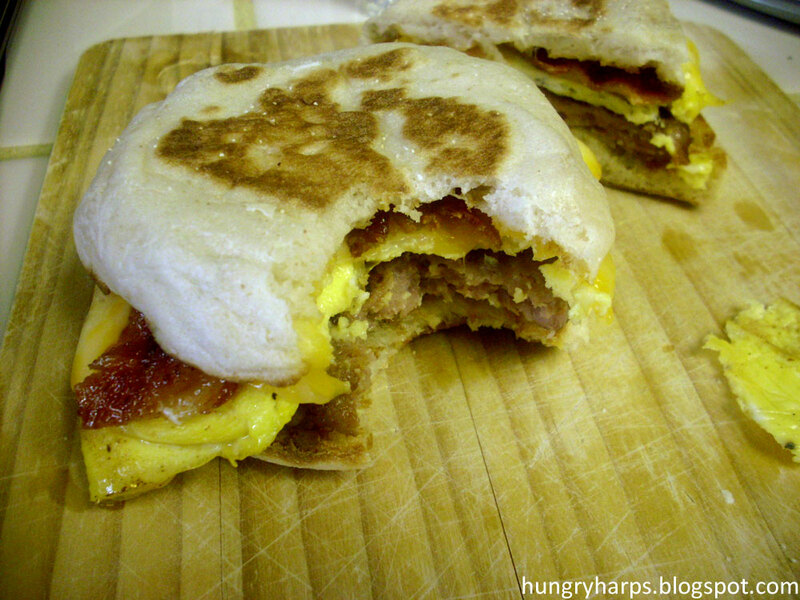 I would be perfectly fine with never getting another Sausage McMuffin with Egg ever again. SO GOOD!! The garlic butter adds an awesome kick. We will definitely have these again, probably with different ingredients to experiment with. I have some Cinnamon Raisin English Muffins that I really want to find something fun to do with, wish me luck! !